The project themes and the related thematic priorities aim to develop and implement EU policies and legislation mainly related to nature and biodiversity issues, concerning among others the biodiversity strategy of the European Union to be implemented by 2020 (EU Biodiversity Strategy to 2020), and Directive 2009/147/EC of the European Parliament and of the Council on the conservation of wild birds (Birds Directive) and the Council Directive 92/43/EEC on the Conservation of natural habitats and of wild fauna and flora (Habitats Directive), especially by applying, developing, testing and demonstrating approaches, best practices and solutions. The projects belonging to this priority area can apply the already existing approaches, best practices and solutions, or develop, test and introduce new approaches, best practices and solutions. With regard to projects in the thematic priority of biodiversity, priority will usually be given to pilot and demonstrative projects. The LIFE programme is an important instrument of implementation of the Birds and Habitats directives. The programme had contributed significantly before to establishing the Natura 2000 network. Co-legislators expressed their intention for LIFE programme to continue focusing on this strategic question, primarily because all member states are obliged to ensure the favourable nature conservation status of its habitats and species of Community Interest. In most cases, this can only be achieved through active management and connection of the habitats or the active nature conservation treatment of the species concerned, and by connecting their populations. Therefore, the priority area of LIFE Nature and Biodiversity still concentrate its limited financial sources on the Natura 2000 network in the period 2014-2020, to ensure full implementation of Target 1 of the Union Biodiversity Strategy to 2020. At the same time, based on the positive experience gained from LIFE+ (2007-2013) LIFE 2014–2020 will foster biodiversity-associated projects, which mostly aim at testing and verifying new methods of tackling biodiversity related doubts. The priority areas of LIFE Nature and LIFE Biodiversity complement one another. iii. integrated approaches aimed at implementing prioritised action frameworks. i. activities aimed at contributing to the achievement of Targets 3, 4 and 5. 1. Projects that aim to improve the conservation status of habitat types and species (including birds) of community Interest, in case of the Natura 2000 sites proposed or designated for these habitat types or species. 2. Projects that aim to improve the conservation status of habitat types or species (including birds) of community significance, found in Natura 2000 sites, provided, their status is not “favourable/secure and not declining” or “unknown”. 3. Projects that implement one or more actions foreseen in the Prioritised Action Frameworks (PAFs) updated by the Member States or determined, proposed or adopted in the course of the Natura 2000 bio-geographical seminars . 4. Projects that concern the part related to seas of the implementation of the relevant provisions determined in indicator 1 of the Birds and Habitats Directives and Directive 2008/56/EC of the European Parliament and of the Council establishing a framework for community action in the field of marine environmental policy (Marine Strategy Framework Directive). 5. Projects aimed at improving the conservation status of habitat types and species (including bird species) of Community Interest, their actions compliant with the actions defined in the corresponding relevant national or EU-level species and habitat action plans. 6. 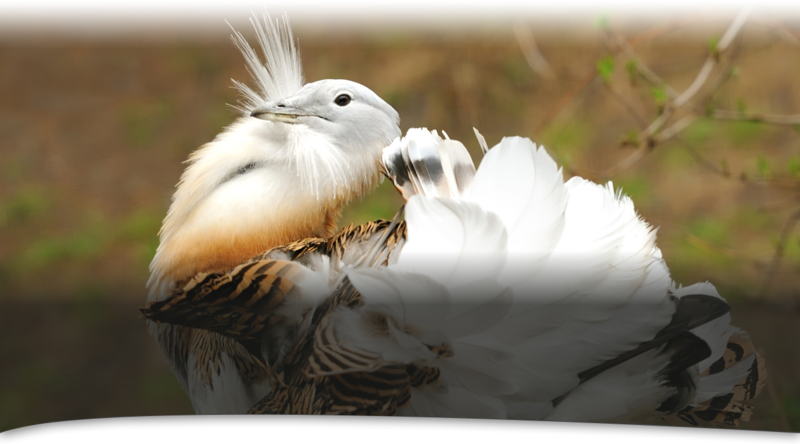 Projects that focus on invasive alien species – in order to support the Natura 2000 network if these are expected to deteriorate the conservation status of species of Community Interest (including bird species) or habitat types. 7. Projects aiming to implement the Target 2 of the Biodiversity Strategy and which integrate their actions into activities of the public or private sector in order to maintain and develop ecosystems and their services, implementation of Green and Blue Infrastructure and restoration of deteriorated ecosystems. 8. Projects implementing actions against Invasive Alien Species. These projects implement three steps within a comprehensive framework (prevention, early warning and rapid response, eridication/controll), or if one of the steps has already been carried out, the actions should be implemented in a broader framework linking all three steps. These must be created to improve the existing technical, administrative or legal frameworks or introduce new ones at the appropriate levels, and should be aimed at preventing further large-scale introduction of Invasive Alien Species within the EU. 9. Projects aimed at threathened species that are not included in the annexes of the Habitats Directive, but are among species with “endangered” or worse status in the European Red Lists or the red list of the International Union for Conservation of Nature and Natural Resources (IUCN). 10. Pilot or demonstration projects that use direct or indirect financing innovatively (including public-private partnerships, fiscal instruments, factors counteracting biodiversity, etc.) for biodiversity-related activities. 11. Pilot or demonstration projects that test Green Infrastructure actions and implement them.